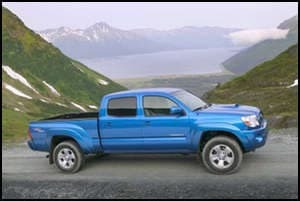 The Tacoma Fighting Back For The Coming Year With A Longer Bed And Other Features To Compete With The Colorado. The fight is on regarding the Colorado for 2015 and the Tacoma. Since a resurgence of manufacturing in the US is ready to reinvest with new truck sales. There are going to be loads of new upgrades for the new Colorado pickup and they are precisely designed to compete in the new mid pickup range for better choices regarding customers. The effort is of course for the customers to switch from one to another. Even Ford seems to be getting into the act to some degree. The new longer extended bed will be a new choice for the Tacoma, evidently fans of the truck weren’t to happy with the short bed. The Colorado has led the field for some time, and Tacoma’s company officers have decided to be more aggressive in wooing Colorado’s clients. But whether you prefer the Tacoma, or the Colorado, more auto makers are adding features to niche market cars, in order to catch that consumer who is changing from one class car to another. For example, the Colorado is attempting to catch the attention of people who may have had smaller pickups, cars or vans and want to move up to a sturdier and heavier model. Of course, Tacoma has the same strategy. They can have that ‘pretty’ look of an auto or van and still have a good workhorse for almost any job. The economy seems to be coming back relative to cars and vehicles, which is usually a substantial and a good sign of recovery in the economy. It is more or less evident in housing as well. So, like more cautious buyers, a good look at the new trucks is something to consider, and will give the normal buyer more permission to think about something they like instead of having to make do. You can pick out what you want and like rather than having to confine your selection. Because the Colorado was experiencing financial problems, it was planned to be phased out and this gave Tacoma a chance to become more predominant. But because the economy is slowly recovering the Colorado is now ready for a comeback and is a real contender for consumers to invest their trust with new re-surging sales. It’s true that the Colorado and Tacoma are in contention for a certain type of customer at a moderate pickup price, and if that’s what you need you now have better options to compare. You may also want to look at the Ford.